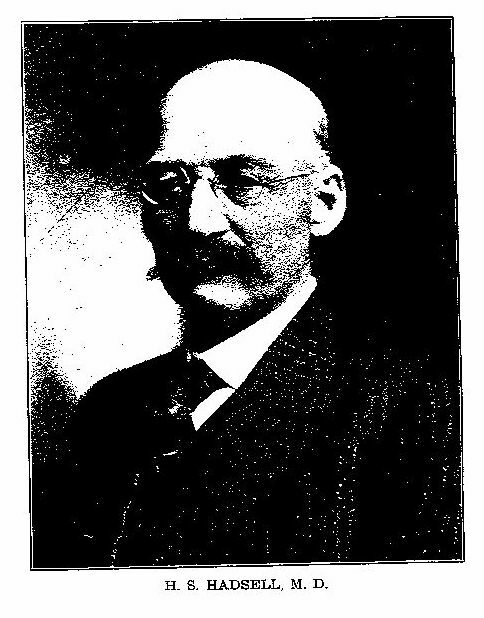 Dr. Henry Stephen Hadsel, in Maynard.iA (1875-1894) in Elgin.IA 1894-1936. Page Chronology: 2015Feb28, initially uploaded. 1878 History of Fayette County, Iowa, Page 597, Dr. H. S. Hadsell, M.D., Maynard (Harlan township); attended lectures at the University of Michigan; born in Dundaff, Susquehanna Co., Penn., Jan. 12, 1852; came to Iowa, settling in Linn Co. with his parents, in 1865; lived there eight years, when, after a short stay in Bremer Co., he came to this county in 1875. A Republican in politics; he was elected Assessor in the Fall of 1877; on the 12th of January, 1878, he was commissioned by Gov. Newbold to act as Notary Public. Married Hettie Latimere, on the 1st of Dec., 1875, in Fayette, who was born in Clarion Co., Penn., October 2, 1851; have one child -- Harry, born in Maynard Sept. 8, 1877. ...No man, more deservedly than a doctor, stands high in a village community. He is fitted by education and training to be a leader, his profession brings him into peculiar confidential relations with the people, and especially makes him familiar with their sorrows. No other profession demands so much of tact and sympathy, no other calls for senses so alert and reliable, for such well trained powers of observation and memory. For ages man has fought grim disease and slowly but surely is wresting ground from the foe. Cures are accomplished every day that would have been impossible a generation ago, and miracles are done in the way of the prevention of disease. Even so, medical science is but in its beginnings and no field of research is more fascinating or more fruitful to the trained student. 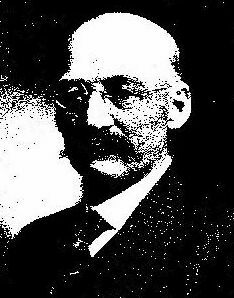 ...H. S. Hadsell was born in Susquehanna county, Pennsylvania, January 10, 1852, the son of H. L. and Sophia (Richardson) Hadsell, natives. The first of the name coming to America was James Hadsell, a sea captain, who settled in Connecticut in 1736. From there some of his descendants removed to Pennsylvania, settling in or near the Wyoming valley, where one was killed at the Wyoming massacre during the Revolutionary war. From the Wyoming valley his paternal grandfather removed to Susquehanna county, in that state, where his father was born. His maternal grandfather was of Scotch descent, the family being pioneers of Harford, Pennsylvania, and one of them numbered among the nine original settlers of Harford, who came from eastern Massachusetts and bought a tract of land there. They established a seminary there, which now would be called a college, and Lyman Richardson, a great-uncle of H. S. Hadsell, was made president at its foundation. It was open to all students wishing admission. Doctor Hadsell is one of the few Americans who are so fortunate as to be able to trace their ancestry to Revolutionary soldiers, for quite a number of the Hadsells and the Richardsons were in the Revolution, some as officers. 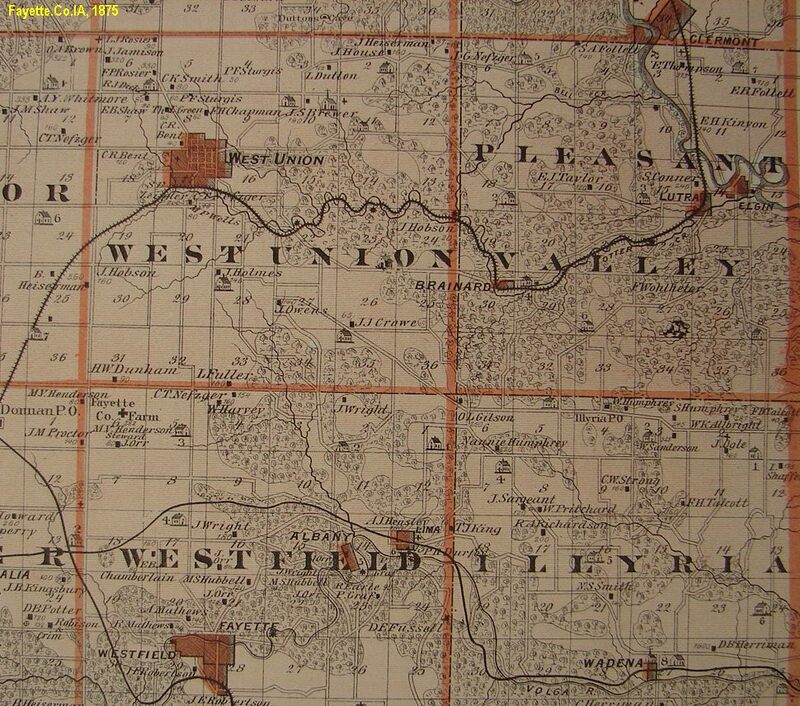 ...The Doctor's father, a carpenter, came West in 1865. He had attempted to enlist in the army, but was rejected because of the loss of part of his hand. 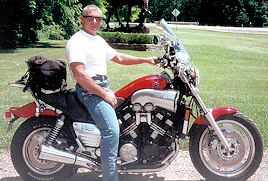 He located in Cedar Rapids with his family, consisting of his wife, one son and two daughters. He worked at his trade there for a year, then bought a farm in the north part of Linn county and farmed there until 1879, when he removed to Maynard, Iowa, where he lived with the Doctor, his wife dying there in 1882, and himself in December, 1902. ...The Doctor attended college at Cedar Rapids, and later went to Beloit College at Beloit, Wisconsin, where he pursued a liberal arts course. He took his first work in medicine at the University of Michigan, then practiced at Sumner and Maynard before finishing his course. He began practice in 1873 and graduated in 1882. After graduation he practiced at West Union for over two years, then went to Maynard, and came to Elgin in 1894, where he has since practiced. In 1875 he married Hettie L. Latimer, and to their union two children have been born, Harry, in 1877, and Fred, in 1880. ...Doctor Hadsell is a member of Silverleaf Lodge No. 518, Ancient Free and Accepted Masons, of Unity Chapter No. 62, Royal Arch Masons, and of Langridge Commandery No. 47, Knights Templar. He is a member of the County, State and American Medical Associations, and of the board of United States pension examiners of Fayette county. He is mayor of Elgin. He is deeply interested in his profession, consequently has been successful, and ranks high among the physicians of his section of the state. As a man, his standing is irreproachable. Hadsel Hubbard L. Hadsel Richardson Sophia A 1816/Susquehanna.Co.PA-1882/Maynard.IA 20 Nov 1813 6 Dec 1901 Long Grove Maynard Sec 4, Lot 29. Note: burials listed in Fay.Co.IA under spelling Harsall, however without seeing markers, the common spelling used by the family as Hadsel, bz/2015. Son of Hubbard Harvey Hadsel 1788/New.London.Co.CT-1854/Susquehanna.Co.PA & Eliz. Miller 1794/PA-1878/Susquehanna.Co.PA. Ch: (ward) Ophelia Jane Smith1846, Lee Richardson1846, (Dr.) Henry Stephen1852, Julinia Adella 'Lana'1856, Lois Eliz.1858. Hadsel Henry Stephen Hadsel Latimer Esther Jane 'Hettie' 1851/Clarion.Co.PA-1920/Oelwein.IA 10 Jan 1852 6 Oct 1936 Long Grove Maynard Sec 4, Lot 29. Doctor in 1875-1894 Maynard, 1894-1936 Elgin. Son of Hubbard L. Hadsel 1813/Susquehanna.Co.PA-1901/Elgin.IA & Sophia A. Richardson 1816/Susquehanna.Co.PA-1882/Maynard.IA. Ch: Harry1877, Fred Latimer1889, ward Robert 'Robin' Earle1892. Hadsel Esther Jane 'Hettie' Latimer Hadsel Dr. Henry Stephen 1852/Susquehanna.Co.PA-1936/Oxford, Butler.Co.OH 2 Oct 1851 2 Oct 1920 Long Grove Maynard Sec 4, Lot 29. Dau of Wm. Dinnin Latimer 1880/Clarion.Co.PA-1885/Fremont.Twp & Mary Fleming Zimmerman 1814/Clarion.Co.PA-1903/Fremont.Twp. Ch: Harry1877, Fred Latimer1889, ward Robert 'Robin' Earle1892. Raised nephew Robert E. 'Robin' Earle of Albany.IA after his mother died at age 3. Hadsel Sophia A Richardson Hadsall Hubbard L. 1813/Susquehanna.Co.PA-1901/Fay.Co.IA Apr 2, 1816 10 May 1882 Long Grove Maynard Sec 4, Lot 29., Age66y1m8d. Dau of Lee Richardson 1792/Bristol.Co.MA-1833/Susquehanna.Co.PA & Lois Carpenter 1792/Bristol.Co.MA-1843/Susquehanna.Co.PA. Ch: (ward) Ophelia Jane Smith1846, Lee Richardson1846, Henry Stephen1852, Julinia Adella 'Lana'1856, Lois Eliz.1858. 1 HADSEL, James Hadsall b: Abt. 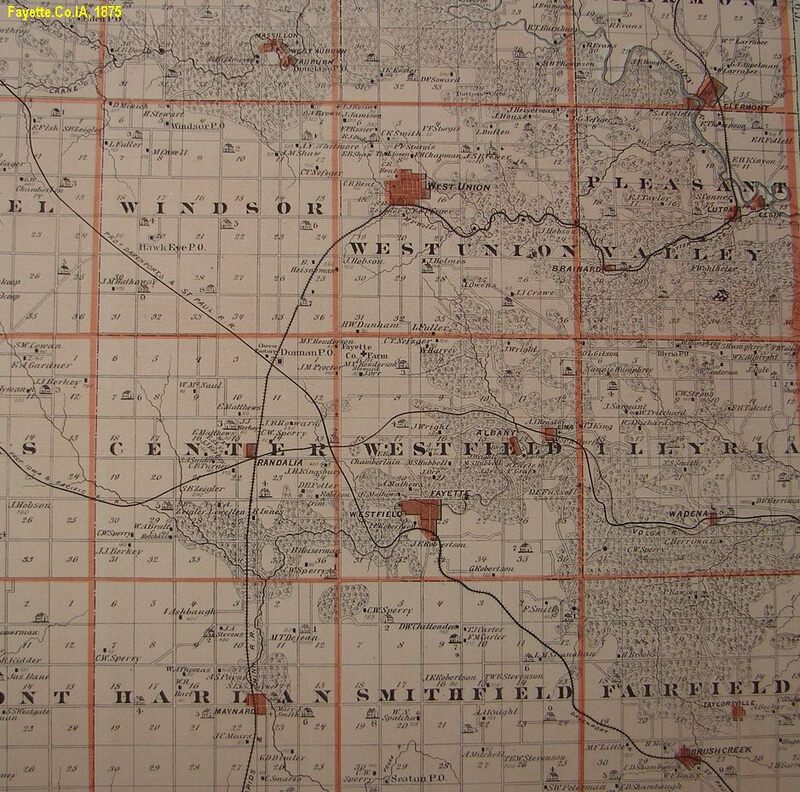 1710 in Middlesex.Co.CT Note 3: Name analogs: Hadsel, Hadsell, Hadsal, Hadsall, Hartzel. Note 5: 1736 Fay.Co.IA.Hist.1910: James Hadsel, Sea Captain that settled 1736 in CT. Note 7: Some of James' ch. moved/settled in Wyoming Valley, Woyoming.Co.PA. Note 8: Had a son killed in the Wyoming Massacre during Rev.War. ... 3 HADSEL, Hubbard Harvey b: 06 Dec 1788 in Stonington, New.London.Co.CT d: 12 Sep 1854 in Clifford.Twp, Susquehanna.Co.PA Note 8: 1850 Census: Clifford.Twp, Susquehanna.Co.PA. Hadsall: Hubbard62, Eliz57, HiramH19, Seth17, EstherE16, LoenardL14. Note 10: 1860 Census: Dundaff P.O., Clifford.Twp, Susquehanna.Co.PA. Hodsell: Levi23, Eliz64, Seth27, Mary Park19. ....... +MILLER, Elizabeth b: 22 Feb 1794 in Penn d: 28 Dec 1878 in Clifford.Twp, Susquehanna.Co.PA m: 1812 Note 11: 1860 Census: Dundaff P.O., Clifford.Twp, Susquehanna.Co.PA. Hodsell: Levi23, Eliz64, Seth27, Mary Park19. Note 14: 1870 Census: Union.Dale P.O., Clifford.Twp, Susquehanna.Co.PA. Hadsell: Henry34, Alsina35, Marrion5, mother Eliz.76. ..... 4 HADSEL, Hubbard L. b: 20 Nov 1813 in Clifford.Twp, Susquehanna.Co.PA d: 06 Dec 1901 in Son Dr.H.S. Hadsel home, Elgin, Fay.Co.IA Burial: Long Grove Cem, Sec 4, Lot 29, Maynard, Harlan.Twp, Fay.Co.IA. Note 5: 1850 Census: Clifford.Twp, Susquehanna.Co.PA. Hadsall: HubbardL36 carpenter & joiner, SophiaA33, Ophelia Jane Smith4PA. Note 6: 1860 Census: Dundaff P.O., Clifford.Twp, Susquehanna.Co.PA. Hodsell: H.C.43 farming $400, wf. S.A.40, S.9, J.4, L.E.2, C.Smith13. Note 8: Grew up in Susquehanna.Co.PA, carpenter by trade. 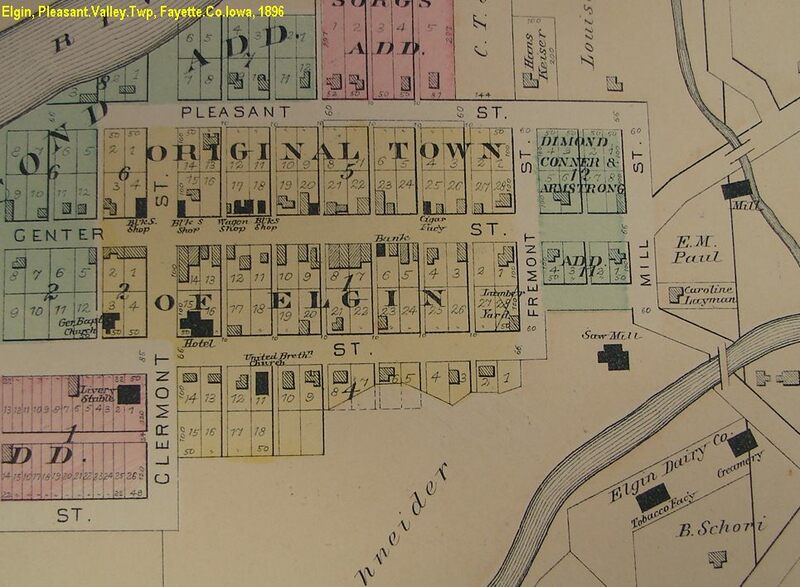 Note 9: 1865 Moved family from PA to Cedar.Rapids, Linn.Co.IA, continued carpenter trade. Note 10: Abt. 1868 Bought farm in Linn.Co.IA. 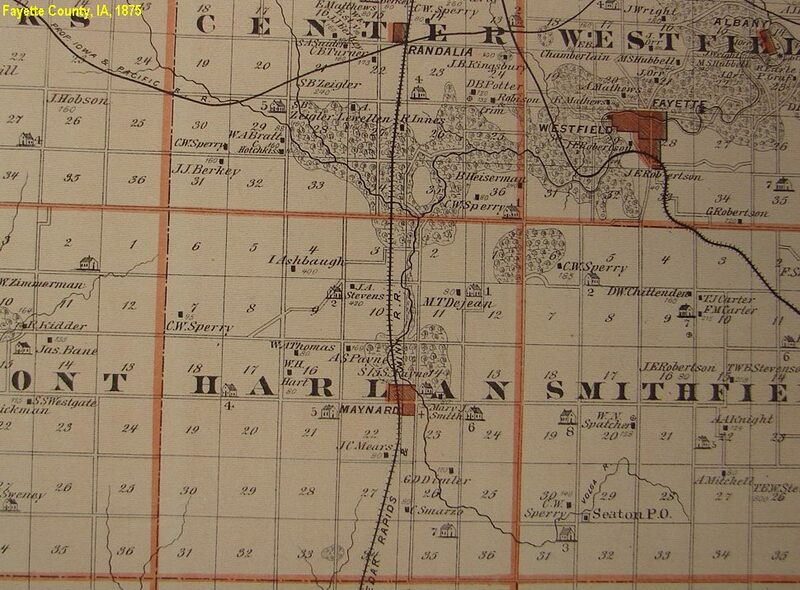 Note 12: 1879 Moved from Linn.Co.IA to join son Dr. HenryS practicing in Maynard, Harlan.Twp, Fay.Co.IA. Note 14: 1880 Census: Maynard, Fay.Co.IA. Hadsel: H.S.28 doctor, Hettie28, Hary2, Fred3m; father adj. Hubbard66 carpenter, mother Sophia63. Note 15: Aft. 1882 After death of wife, lived with son Dr. H.S.Hadsel in Maynard & Elgin, Fay.Co.IA. Note 16: 1885 Census: Bk1, Lot6, Maynard, Harlan.Twp, Fay.Co.IA. Hadsel: H.S.32 physician, Hettie32, Harry7, Fred4, father H.L.76 carpenter. Note 19: 1900 Census: Maine.Twp, Linn.Co.IA. Hadsell: Hugh75, wife Flora48, bro. Hubbard L. Hadsell86. ......... +RICHARDSON, Sophia A. b: 02 Apr 1816 in Harford.Twp, Susquehanna.Co.PA d: 10 May 1882 in Maynard, Harlan.Twp, Fay.Co.IA Burial: Long Grove Cem, Sec 4, Lot 29, Maynard, Harlan.Twp, Fay.Co.IA. m: 12 Nov 1844 Father: Lee RICHARDSON Mother: Lois CARPENTER Note 11: Family of Scottish descent, settled in MA, & were pioneers in Harford.Twp, Susquehanna.Co.PA. Note 14: 1880 Census: Maynard, Fay.Co.IA. Hadsel: H.S.28 doctor, Hettie28, Hary2, Fred3m; father adj. Hubbard66 carpenter, mother Sophia63. ........ 5 SMITH, Ophelia Jane (ward) b: 02 Sep 1846 in Uniondale, Susquehanna.Co.PA d: 26 Sep 1934 in Maxwell, Colfax.Co.NY Burial: Central City, Linn.Co.IA Note 4: ? ?Is Ophelia a ward of the Hadsell family? H.L.Hadsell 1901 obit states he had five children, bz/2015. ........ 5 HADSEL, Henry Stephen b: 12 Jan 1852 in Dundaff, Clifford.Twp, Susquehanna.Co.PA d: 06 Oct 1936 in Oxford, Butler.Co.OH Burial: Long Grove Cem, Sec 4, Lot 29, Maynard, Harlan.Twp, Fay.Co.IA (under Hadsal spelling). Note 8: 1865 Moved with parents from Susquehanna.Co.PA to Cedar.Rapids, Linn.Co.IA, father continued carpenter trade. Note 10: Abt. 1868 Father bougtht a farm in Linn.Co.IA. Note 11: Abt. 1868 Started college in Cedar.Rapids.IA; later liberal arts in Beloit.Co.WI. Note 12: Bef. 1873 Studied medicine at U.of.Micichgan; began practicing before graduation. Note 13: 1873 Began practicing medicine at Sumner, Bremer.Co.IA. Note 14: 1875 Moved from Sumner.IA to practice in Maynard, Fay.Co.IA; 1875 married Esther Jane 'Hettie' Latimer. Note 18: 1879 Father moved/joined Dr. HenryS Hadsel, practicing at Maynard, Fayette.Co.IA. 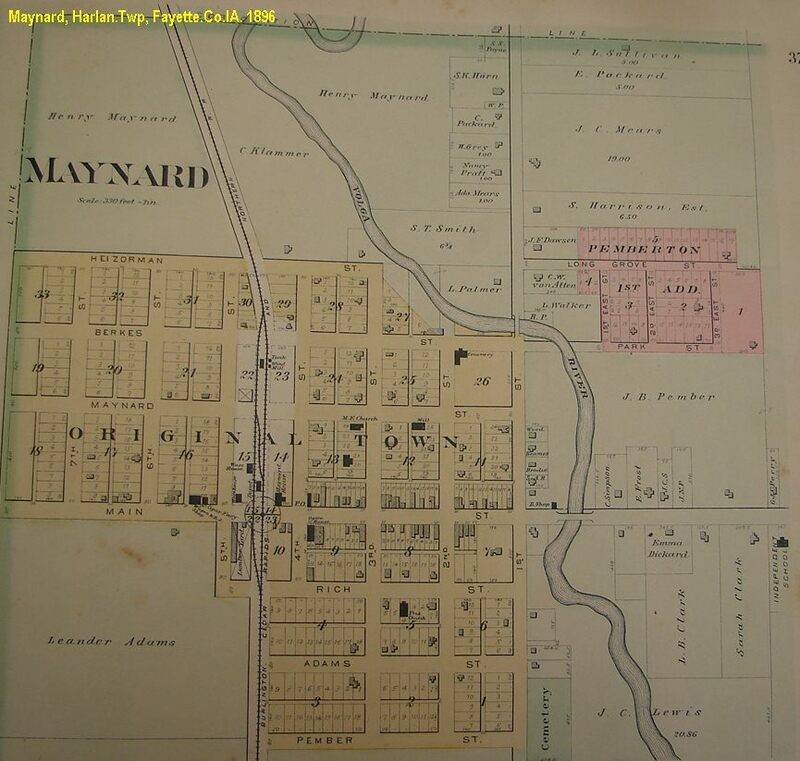 Note 19: 1880 Census: Maynard, Fay.Co.IA. Hadsel: H.S.28 doctor, Hettie28, Hary2, Fred3m; father adj. Hubbard66 carpenter, mother Sophia63. Note 20: Bet. 1882 - 1884 Graduated with a medical degree; practiced at West.Union, Fay.Co.Ia. Note 21: 1884 Returned to Maynard, Fay.Co.IA, to practice medicine. Note 22: 1885 Census: Bk1, Lot6, Maynard, Harlan.Twp, Fay.Co.IA. Hadsel: H.S.32 physician, Hettie32, Harry7, Fred4, father H.L.76 carpenter. 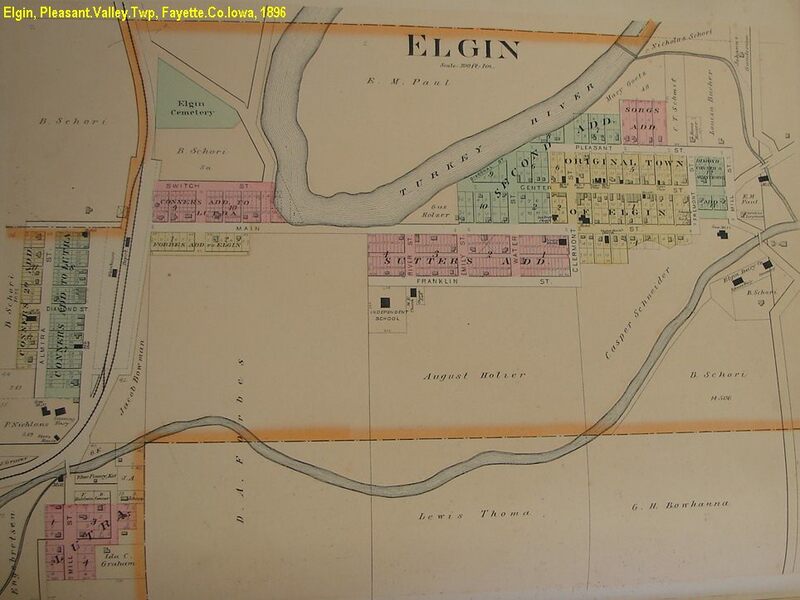 Note 24: May 1894 Moved to Elgin, P.Val.Twp, Fay.Co.IA, to practice medicine. Note 25: 1900 Census: Center.Twp, Elgin, Fay.Co.IA. Hadsel: HenryS 48 physician, Hattie48, Harry22 RR mail clerk, Fred20 at school (UIU?). 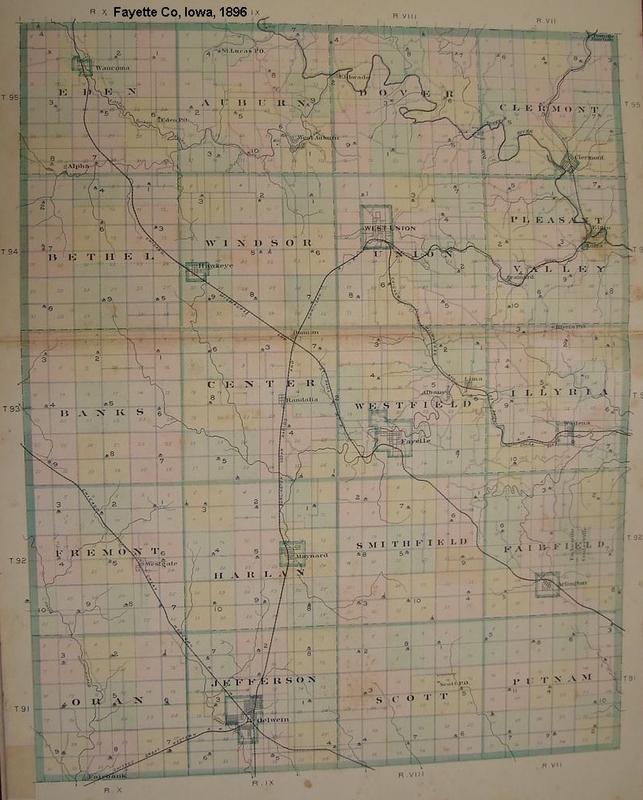 Note 28: 1910 Census: Main.Twp, Elgin, P.Val.Twp, Fay.Co.IA. 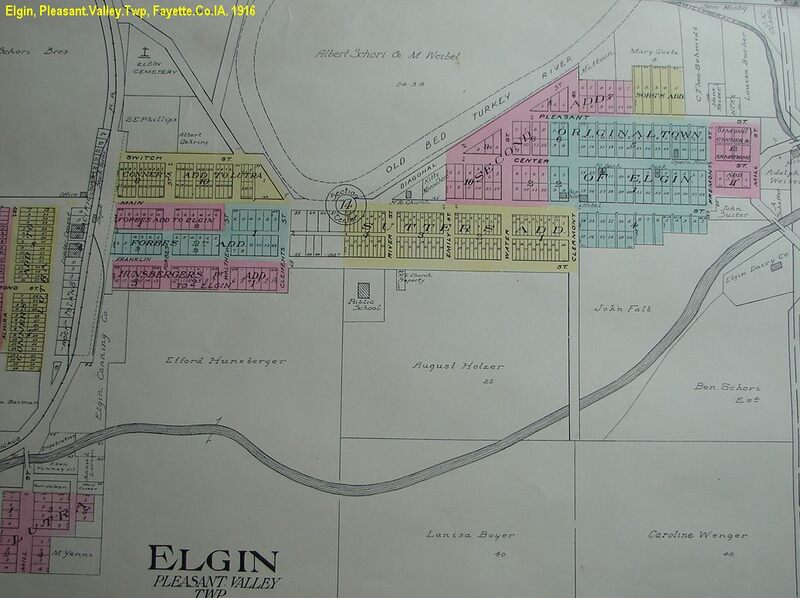 Hadsell: HenryH38 physician office & mayor of Elgin, Hellie38, nepthew Robin/Robert E. Earle17. Note 29: 1920 Census: Fountain.St, Grand.Rapids, Kent.Co.MI. Hadsel: Harry40 supt' of postal mail, AltaI340, JackL6, father HarryS68 physician own office, HattieL68. Note 30: 1925 Census: Elgin, P.Val.Twp, Fay.Co.IA. H.S. Hadsel73 (Dr.) & sister Juliana nee Hadsel Henderson71. Note 31: 1929 Still living in Elgin.IA. ............ +LATIMER, Esther Jane 'Hettie' b: 02 Oct 1851 in Porter.Twp, Clarion.Co.PA d: 02 Oct 1920 in Oelwein, Jeff.Twp, Fay.Co.IA Burial: Long Grove Cem, Sec 4, Lot 29, Maynard, Harlan.Twp, Fay.Co.IA. m: 01 Dec 1875 in Fayette, Westfield.Twp, Fay.Co.IA Father: William Dinnin LATIMER Mother: Mary Fleming ZIMMERMAN Note 12: Aft. 1895 Raised sister's son, Robin Earle. Note 14: Jul 1912 Paper: Dr. & Mrs. H.S. Hadsel & Robin Earle left by auto to Osford, Butler.Co.OH. ........... 6 HADSEL, Harry b: 08 Sep 1877 in Maynard, Harlan.Twp, Fay.Co.IA d: 11 Mar 1929 in Grand Rapids, Kent.Co.MI Burial: Woodlawn Cem, Grand Rapids, Kent.Co.MI Note 5: Graduated from Maynard.IA H.S. ; attended UIU at Fayette.IA. Note 7: Bet. 1897 - 1903 Entered the railway mail service. 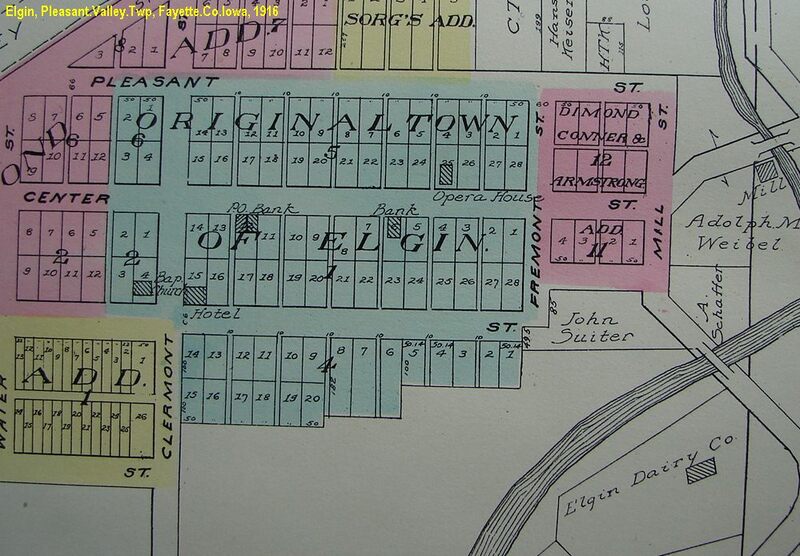 Note 8: 1900 Census: Center.Twp, Elgin, Fay.Co.IA. Hadsel: HenryS 48 physician, Hattie48, Harry22 RR mail clerk, Fred20 at school (UIU?). Note 9: Bet. 1903 - 1916 Appointed a postoffice inspector. Note 10: Bet. 1899 - 1905 Railroad postal clerk, Cedar.Rapids to Decorah.IA run, empolyed out of Fayette.Co.IA. Note 11: 1905 Census: Harry Hadsell & wf, 3rd Ave, Cedar.Rapids, Linn.Co.IA. Note 12: Bet. 1903 - 1907 City Directory, listed living in Cedar.Rapids.IA. Note 13: 1910 Census: Hotel in New.Haven, New.Haven.Co.CT. harry Hadsel33 postal inspector. Note 15: 1915 Census: Davenport, Scott.Co.IA. Note 16: 1916 appointed supt. of rails in Grand.Rapids.MI. Note 18: Sep 1918 Draft.Reg: 741 Fountain, Grand.Rapids.MI, Dept. of Mails, 5'10, 155#, gray eyes, br. hair, married. Note 20: 1920 Census: Fountain.St, Grand.Rapids, Kent.Co.MI. Hadsel: Harry40 supt' of postal mail, AltaI340, JackL6, father HarryS68 physician own office, HattieL68. Note 22: 1924 Appointed as Mr.Hill's assist. postmaster at Grand.Rapids. Note 23: Considered an authority on postal services, often acting as a consultant. ............. 7 HADSELL, Jack L. b: 21 Oct 1913 in Iowa d: 04 Jul 1980 in Grand Rapics, Kent.Co.MI Note 11: 1920 Census: Fountain.St, Grand.Rapids, Kent.Co.MI. Hadsel: Harry40 supt' of postal mail, AltaI340, JackL6, father HarryS68 physician own office, HattieL68. Note 14: Grad. Grand.Rapids.MI H.S. ........... 6 HADSEL, Fred Latimer b: 18 Feb 1880 in Maynard, Harlan.Twp, Fay.Co.IA d: 31 Jan 1939 in Miami, Dade.Co.FL Burial: Oxford Cem, Butler.Co.OH Note 10: 1900 Census: Center.Twp, Elgin, Fay.Co.IA. Hadsel: HenryS 48 physician, Hattie48, Harry22 RR mail clerk, Fred20 at school (UIU?). Note 12: Aft. 1910 Moved to Oxford, Butler.Co.OH after marriage. Note 16: 1929 Prof. of Latin, Miami.U in Oxford.OH. ............... +PERINE, Mary Lucinda b: 17 Mar 1882 in Albion, Calhoun.Co.MI d: 1955 in Oxford, Butler.Co.OH Burial: Oxford Cem, Butler.Co.OH m: 07 Apr 1910 Father: John Edwin PERINE Mother: Cornelia Ann AIKEN Note 8: 1904 Graduated from Albion.MI College; was a MI tennis champion. Note 9: Grad. Sch. at Smith.College. Note 12: Aft. 1939 Remained in Oxford.OH after death of husb. ........... 6 (WARD, Robert Robin, nephew) Earle b: 1892 in Coos.Co.OR d: 1927 in Fay.Co.IA Note 4: See Robin's tree under Joseph J. Earle family, bz/2015. ........ 5 HADSEL, Juliania Adella 'Lana' b: 23 Jan 1856 in Elkdale, Clifford.Twp, Susquehanna.Co.PA d: 16 Jan 1933 in Elgin, P.Val.Twp, Fay.Co.IA Burial: Hawkeye Cem, lot 7, Windsor.Twp, Fay.Co.IA. 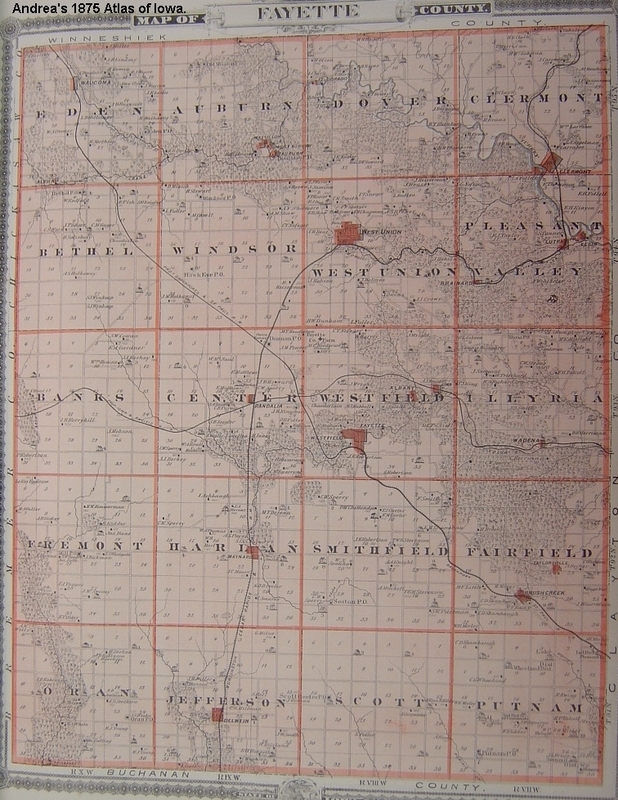 Note 6: 1885 Census: NE1/4, NW1/4, Sec 32, Center.Twp, Fay .Co.IA. Henderson: OtisC27 farming, Lana29, Leah0. 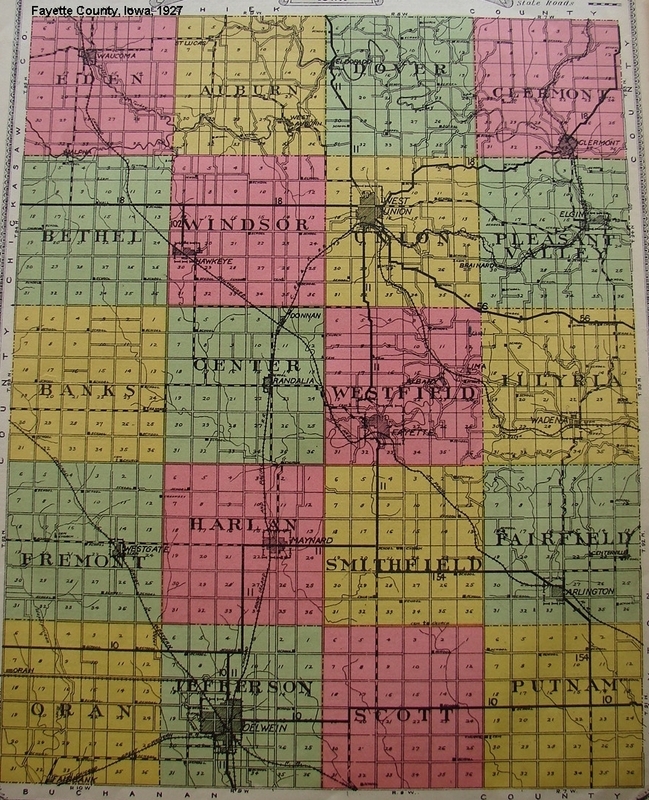 Note 8: 1900 Census: Randalia, Center.Twp, Fay.Co.IA. Henderson: Otis42 farm laborer, J.Lana44, Leo11, Fred9. 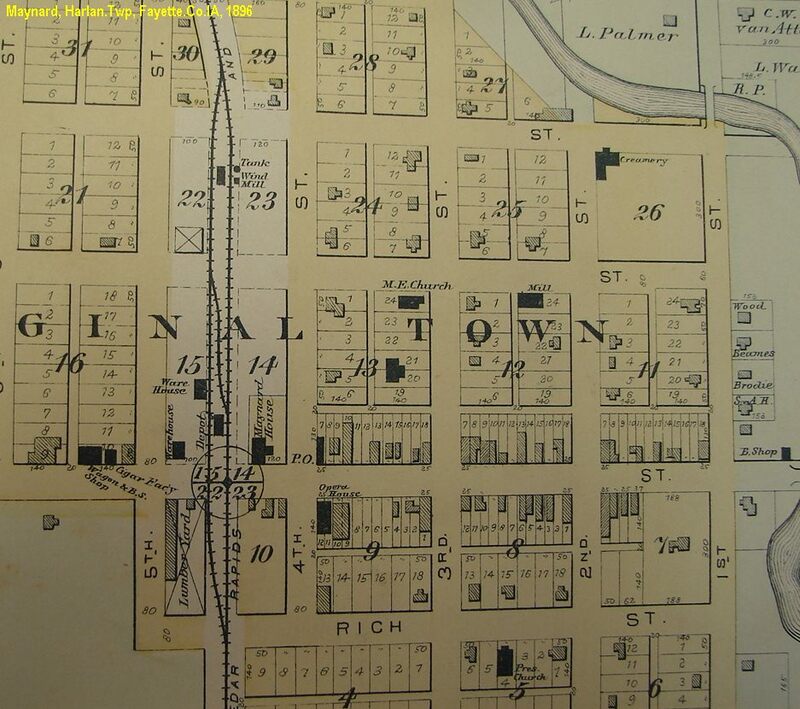 Note 9: 1910 Census: 2nd St, Randalia, Center.Twp, Fay .Co.IA. Henderson: OtisC52 foundry laborer, JulaniaA nee Hadsel54. Note 12: 1925 Census: Elgin, P.Val.Twp, Fay.Co.IA. H.S. Hadsel73 (Dr.) & sister Juliana nee Hadsel Henderson71. Note 15: 1920 Census: Cedar.Rapids, Linn.Co.IA. Julania henderson63 widow, rooer with Ida B. Tipp61. ............ +HENDERSON, Otis C. b: 24 Dec 1857 in NY d: 30 Mar 1915 in 2nd St, Randalia, Center.Twp, Fay.IA Burial: Hawkeye Cem, lot 7, Windsor.Twp, Fay.Co.IA. m: Abt. 1882 in Fay.Co.IA Father: Alphonso W. HENDERSON Mother: Helen M. STRAIN Note 8: 1885 Census: NE1/4, NW1/4, Sec 32, Center.Twp, Fay .Co.IA. Henderson: OtisC27 farming, Lana29, Leah0. Note 10: 1900 Census: Randalia, Center.Twp, Fay.Co.IA. Henderson: Otis42 farm laborer, J.Lana44, Leo11, Fred9. Note 15: 1910 Census: 2nd St, Randalia, Center.Twp, Fay .Co.IA. Henderson: OtisC52 foundry laborer, JulaniaA nee Hadsel54. ........... 6 HENDERSON, Leah M. b: Jul 1884 in NE1/4, NW1/4, Sec 32, Center.Twp, Fay.Co.IA d: 30 Jul 1968 Note 11: 1885 Census: NE1/4, NW1/4, Sec 32, Center.Twp, Fay .Co.IA. Henderson: OtisC27 farming, Lana29, Leah0. ........ 5 HADSEL, Lois Elizabeth b: 28 Feb 1858 in Clifford.Twp, Susquehanna.Co.PA d: 15 Nov 1947 in Los.Angeles.Co.CA Note 11: Bef. 1910 Divorced. ..... 4 M.HADSEL, Hugh William b: 14 Feb 1825 in Clifford.Twp, Susquehanna.Co.PA d: 18 Nov 1907 in Maine.Twp, Linn.Co.IA Note 18: 1900 Census: Maine.Twp, Linn.Co.IA. Hadsell: Hugh75, wife Flora48, bro. Hubbard L. Hadsell86. ......... +UNKNOWN, Flora b: Jun 1851 in IL d: 1931 in Iowa m: 1874 in Linn.Co.IA Note 4: Parents b. Germany. Note 12: 1900 Census: Maine.Twp, Linn.Co.IA. Hadsell: Hugh75, wife Flora48, bro. Hubbard L. Hadsell86.